BBC has released a video to introduce their Make it Digital season. The Gamechangers is one of the nine programmes that are part of this season. 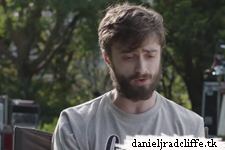 The video features Daniel and more stars including Dara Ó Briain, Clara Amfo and Evan Davis. Daniel: "This will hopefully help to show people that coding is incredibly important and is the future"